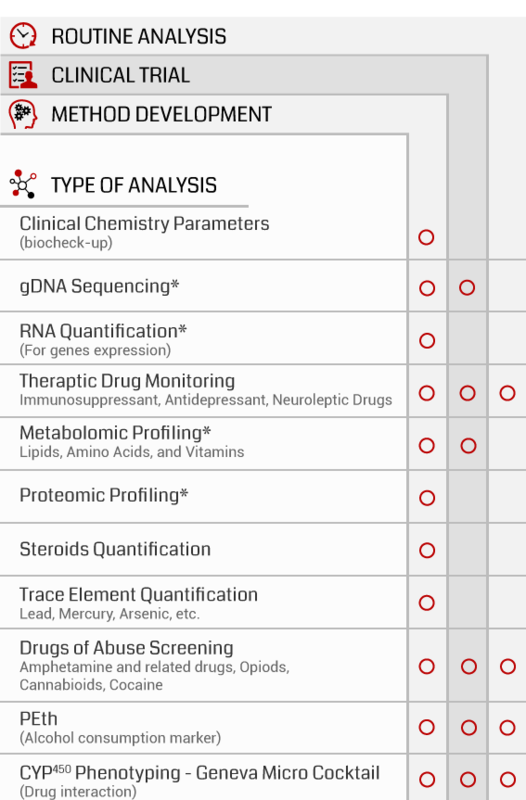 DRUG SCREENING, BIOMARKER DETECTION AND GENETIC TESTING. DBS System has close working partnerships with accredited laboratories in Switzerland and a pipeline of analysis currently validated or in development. Contact us for more information on how we can support you to implement these solutions into your workflow or to support your own development needs. Learn how HemaXis DB10 is the ideal solution for PEth testing and download the application note. HemaXis DB10 is a CE/IVD and FDA Class 1 medical device. HemaXis DX is in development and for research purposes only. Compared to the traditional blood collection process, Hemaxis micro sampling is more efficient, faster, significantly cheaper, and is better for the environment because less energy and resources are consumed in transporting, storing and processing samples.